Lumiere Coaching is committed to ensuring that your privacy is protected. Should we ask you to provide certain information by which you can be identified when using this website, then you can be assured that it will only be used in accordance with this privacy statement. 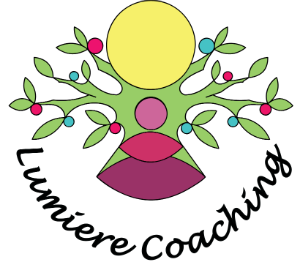 The terms “we,” “us,” and “our” refers to Nikki Watters of Lumiere Coaching. The terms “user,” “you,” and “your” refer to site visitors, customers, and any other users of the site. The term “personal information” is defined as information that you voluntarily provide to us that personally identifies you and/or your contact information, such as your name, phone number and email address. We may use stress or mindfulness assessment data for statistical analyses and for information/marketing use. Such data will be aggregated with that of other users and personal information related to individual identity will be removed to maintain confidentiality and anonymity. We maintain security measures to protect your personal information from unauthorized access, misuse, or disclosure. However, no exchange of data over the Internet can be guaranteed as 100% secure. While we make every effort to protect your personal information shared with us through our Site, you acknowledge that the personal information you voluntarily share with us through this Site could be accessed or tampered with by a third party. You agree that we are not responsible for any intercepted information shared through our Site without our knowledge or permission. Additionally, you release us from any and all claims arising out of or related to the use of such intercepted information in any unauthorized manner. If you believe that any information we are holding on you is incorrect or incomplete, please email us at nikki@lumierecoaching.co.uk as soon as possible. We will promptly correct any information found to be incorrect. This policy is effective from 1 July 2016.